Born at Stoke Damerel, England on 13 August 1767, John Macarthur was educated at a local grammar school before joining the British Army at the age of fifteen. In 1789 he became a Lieutenant with the New South Wales Corps and sailed to the new colony of New South Wales. In 1793 he was granted 100 acres at Parramatta where he established Elizabeth Farm. Between 1793 and 1795 Macarthur founded a financial and administrative base which made him the most powerful man in New South Wales. As Inspector of Public Works he controlled the convict labour market and as their paymaster he controlled the New South Wales Corps. In 1795 Macarthur quarrelled with Governor Hunter. This was the beginning of a lengthy and acrimonious relationship with a number of governors which included Hunter and King and culminated with his open rebellion against Bligh. In 1801 King sent Macarthur England to stnd trial for wounding a fellow officer in a duel. The trial never occurred and Macarthur used the trip to develop business with English woollen mills and establish New South Wales as a potential supplier of fine wool. He returned to the colony having resigned from the Army. From 1807 to late 1808 Macarthur openly fought with Bligh. He was instrumental in Bligh’s arrest and subsequent recall. In 1809 Macarthur travelled to England. During the eight years of his absence his wife Elizabeth ran his properties. Upon his return he continued to run his landholdings, was a member of the Legislative Council from 1829 to 1832, and exerted considerable influence upon J. T. Bigge’s two reports on the state of the colony of New South Wales. He was unquestionably the most influential private citizen in early Australian history and is widely remembered as the father of the wool industry. He died and was buried at the Camden Park Estate on 11 April 1834 after a long period of depression and paranoia which was diagnosed as insanity. Born at Plymouth, England on 21 June 1784, George Arthur joined the British Army in 1804 and was rapidly promoted to Lieutenant in 1805 and Captain in 1808. From 1812 to 1825 he worked in various senior administrative positions in the British colonies in the Caribbean as well as serving with the Argyllshire Highlanders in Italy, Sicily and Egypt. He was appointed Lieutenant-Governor of Van Diemen’s Land on 14 May 1824. The following year the British parliament announced that Van Diemen’s Land would become as separate colony thus Arthur became the colony’s first Governor. Arthur was a deeply religious and autocratically efficient administrator and he brought both of these skills to his governorship. He refused to be dominated by the colony’s Legislative Council or the British Parliament. In spite of this apparent inflexibility the colony grew and prospered. During Arthur’s administration the population of Van Diemen’s Land trebled and the island’s trade increased twelvefold. In 1830 Arthur established a penal settlement at Port Arthur. He was responsible for the disastrously unsuccessful ‘Black War’ which attempted to capture all the Aborigines on the island. He left Hobart in October 1836 and spent the rest of his life as a Lieutenant-Governor of Upper Canada and Governor of the presidency in Bombay. He died in England in 1854. Born at Launceston, Cornwall, England on 23 April 1758, King joined the British Navy at the age of thirteen. His first appointment was as a captain’s servant but he rose through the ranks to become a Lieutenant (1778), Commander (1791) and Captain (1798). As a Lieutenant he was appointed to serve under Captain Arthur Phillip. Phillip was impressed by King and in 1786 chose him as Second Lieutenant on the HMS Sirius. Soon after the First Fleet’s arrival at Botany Bay, Phillip selected King to establish and command a separate colony on Norfolk Island. King carried out these duties from 1788 to 1790. 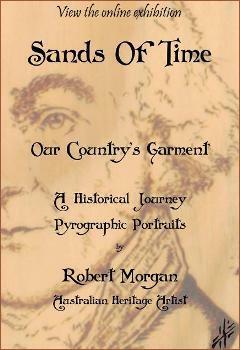 From 1790 until his death in 1808 King made a number of voyages between Australia and England. King was an efficient and sensitive administrator (as his terms on Norfolk Island show) but the forces operating in New South Wales from 1800 to 1806 were too complex and difficult for him. He had trouble with the New South Wales Corps, with Irish political prisoners, and with emergent exclusivists like John Macarthur. As early as 1803 King had experienced enough friction to request leave to retire. It wasn’t until 1806 that a suitable replacement, Captain William Bligh, could be found. King returned to England a very sick man. He died on 3 September 1808 in London.